I Have RSD, but It Does Not Have Me - Piedmont Physical Medicine & Rehabilitation, P.A. When you sprain an ankle, first you feel a sharp electric pain, and then you feel a burning pain. The sharp pain comes from the fast sensory pain fiber, and the slow onset, longer lasting burning pain is transmitted by the sympathetic nerve fiber. Normally, the burning pain stops over time. If it does not, you may have something referred to as reflex sympathetic dystrophy (RSD)-also called chronic regional pain syndrome (CRPS). 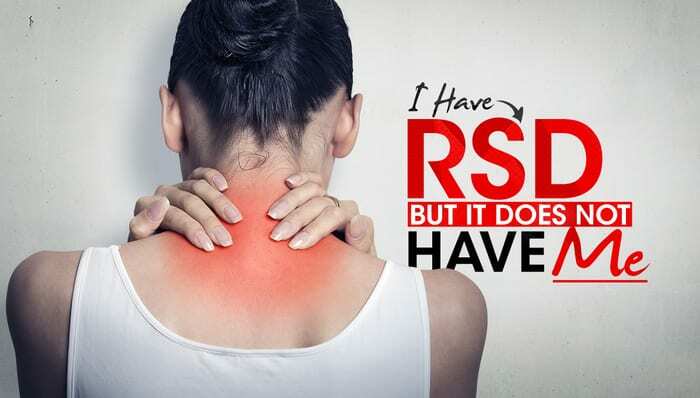 RSD is a chronic pain syndrome of the sympathetic nervous system. 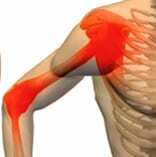 It usually follows an identifiable event, such as a fracture, torn ligament or crush injury. There are different levels of sympathetic pain and RSD/CRPS is classically reserved for the most severe forms but both erms are used loosely to help describe a wide array of cold or weather sensitive pain syndromes. The sympathetic nervous system is a network of nerves that goes to all of the body’s structures, including muscles, tendons, ligaments, disk and even the internal organs. Its job is to inform the brain and spinal cord when something goes wrong with any of these tissues. For example, if you sprain your ankle, the initial sharp pain is followed by a longer-lasting burning pain. That burning pain is your sympathetic nervous system. While the burning usually stops over time, sometimes it doesn’t. Instead, the sympathetic nervous system’s response will continue running, like a car engine that diesels after you turn it off. This is not normal and if it becomes severe enough it is called RSD/CRPS. What are symptoms of dystrophy? Dystrophy is characterized by persistent burning pain, extreme sensitivity to touch, swelling, excessive sweating and abnormal skin color. It can be difficult to describe where the pain begins or ends, but people with RSD usually know that weather changes make it worse. Weather-sensitive pain is a major feature of RSD. The painful area may always feel cold and usually will be overly sensitive to touch and cold temperatures. Dystrophy’s hallmark symptoms are abnormal skin color and sweating, which can progress to swelling, loss of range of motion and even muscle and bone loss. Like other complex pain disorders, RSD often goes undiagnosed or is misdiagnosed. For example, many mild cases of RSD are told they have fibromyalgia because the two disorders have overlap and shared characteristics. That’s at least one reason why it is important to find a doctor skilled in sympathetic pain syndromes when seeking care for any weather sensitive pain condition. Because they are highly experienced with complex pain problems, the doctors at at Piedmont Physical Medicine & Rehabilitation can identify dystrophy by its symptoms plus they know how to make use of specialized tests that evaluate changes in skin temperatured blood flow, and bone loss (the physical changes that may occur with RSD/CRPS). Typically, most doctors who are familiar with RSD/CRPS treat these conditions by addressing the pain. They do what they can to provide relief. At Piedmont Physical Medicine & Rehabilitation we strive to find and treat the problem generating the dystrophy as well. 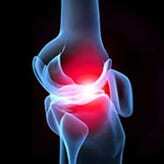 Is there a torn ligament that needs to be fixed? Is there an injury site with hidden infection or impaired blood flow? We try to find out what is generating the dystrophy and then do our best to address what can be done to fix it. While nationwide doctors have a very tough time treating RSD/CRPS at At Piedmont Physical Medicine & Rehabilitation the vast majority of our patients show improvement it both their pain and their quality of life. This takes time and does not happen overnight but with proper care and guidance it is quite possible to have RSD instead of it having you.